Designed by Inuit women for baby-wearing, amautiit (plural of amauti) materially embody generations of Inuit knowledge and innovation. As such, this contemporary Akulik amauti—hand-crafted by Nunavik Creations in 2017—might be considered both one of the newest and one of the oldest wearable technologies represented in this collection. 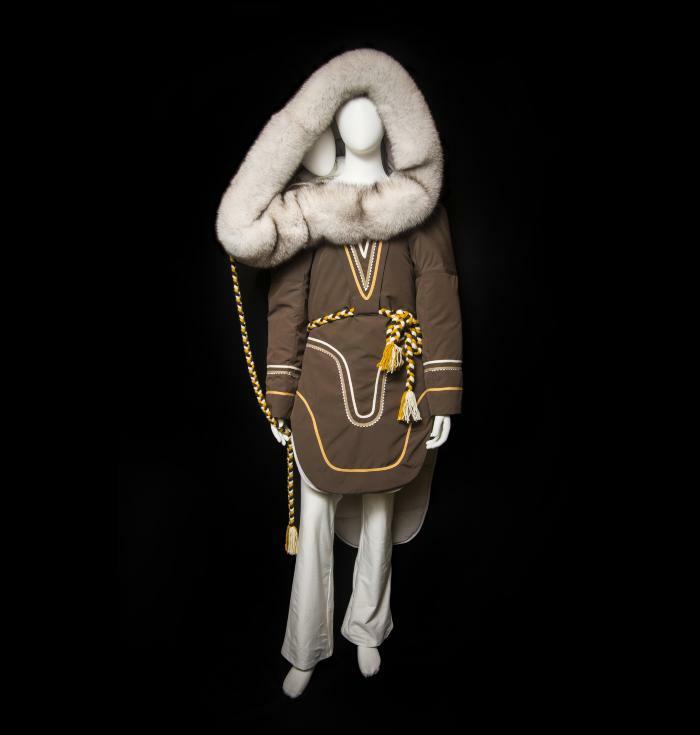 Like traditional amautiit, it features a large back pouch, fur-lined hood, and adjustable belt system. This permits the user to easily customize the shape of the amauti in order to accommodate children of various ages: from newborn to toddler. It also features a traditional long back tail to provide insulation for sitting on cold surfaces. Modern updates include a synthetic shell and removable Powderfil lining. The Akulik amauti was acquired as part of a partnership between Nunavik Creations and the Canada Science and Technology Museum in 2017. Made in Inukjuak, Nunavik (Quebec), Canada.